We have a bit of a routine in our house. On a Sunday I’ll cook a whole chicken in the slow cooker (which you have to try if you’ve never done it before). 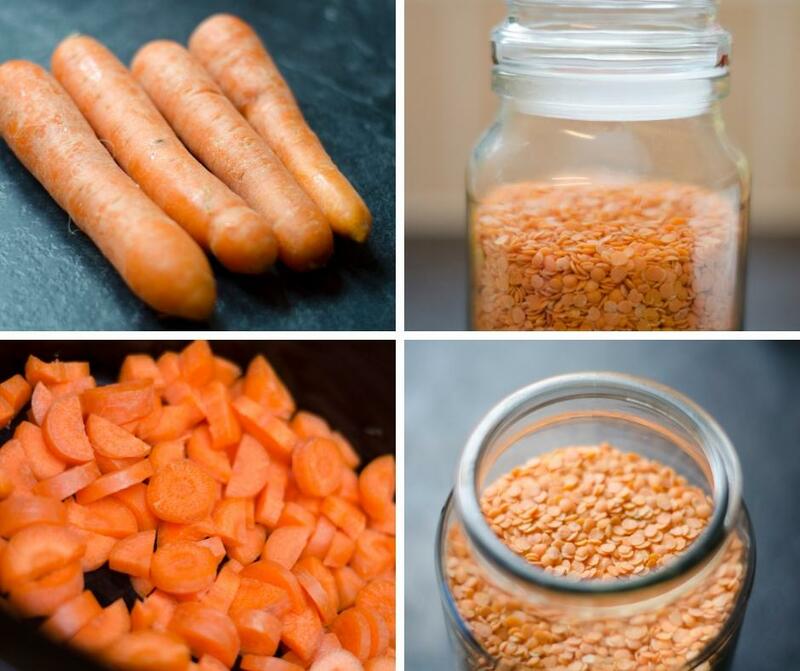 Then on Sunday evening my husband will strip the chicken, pop the bones back in the slow cooker and make delicious stock, which I’ll use on a Monday to make this slow cooker carrot and lentil soup. One of my favourite things about this recipe is that it’s so flexible. 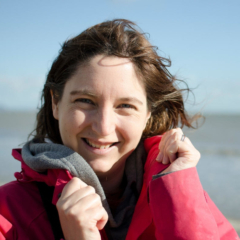 You don’t have to worry too much about measurements, it’s a rough and ready kind of soup! So if you fancy a more carroty soup then chuck a few extra in. 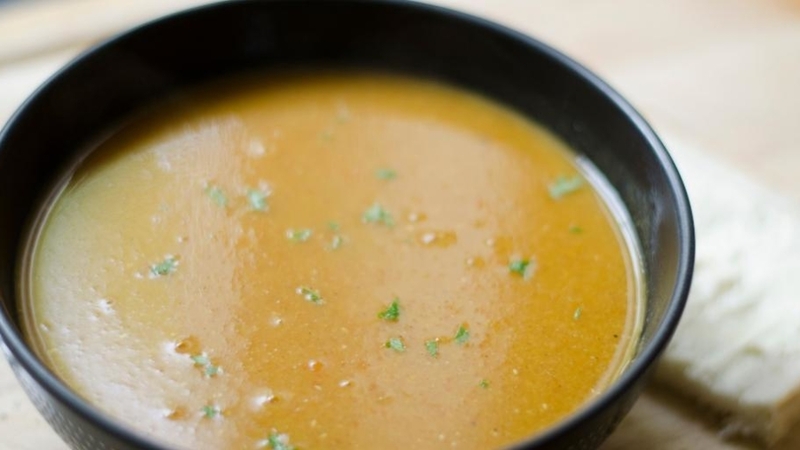 If you like a thick soup then go crazy with the lentils. 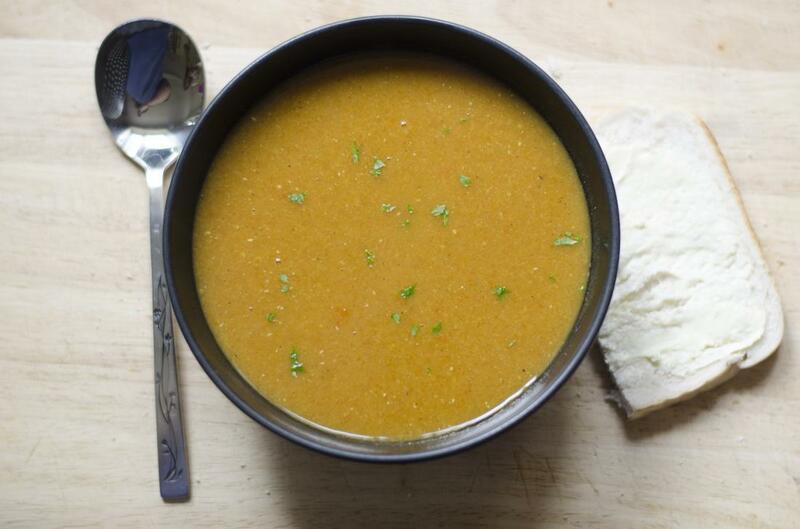 Chop the carrots up into pieces about the size of a pound coin and chuck them in the slow cooker. Add the stock, lentils and spices. If you fancy you can put some chopped onion in too. Blend, taste and add more seasoning if you feel like it, and serve! This recipe tends to make just about enough for dinner for me and Steve and leftovers for him to take to work for lunch the next day. This sounds delicious! We share the same whole chicken on the weekend followed by soup on a Monday routine 🙂 How good is stock made from the bones! I can’t use store-bought stuff anymore as it doesn’t taste anywhere near as good! My kids will love this recipe, thanks for sharing! 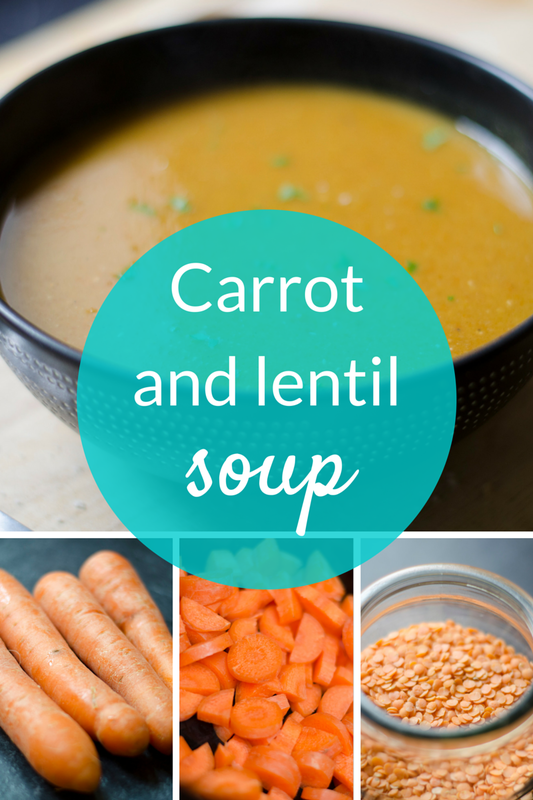 I love soup & I love carrots – I’ve never tried carrot soup before!!! 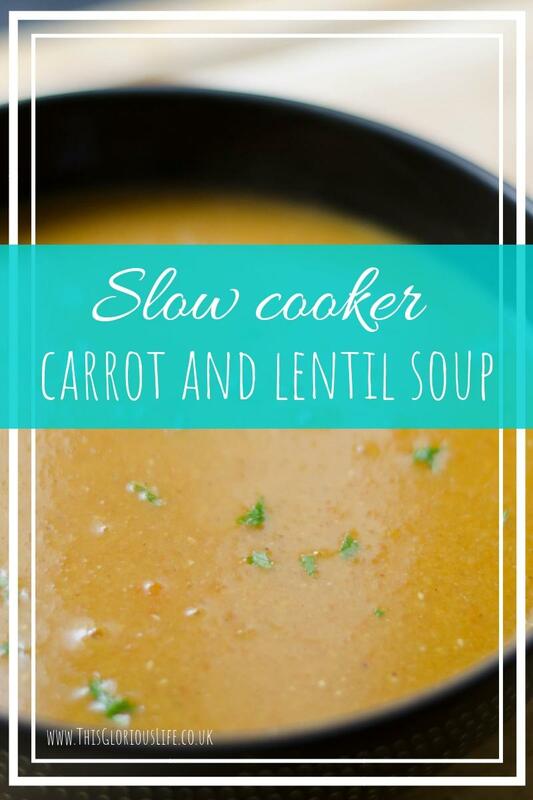 It sounds delicious & I’ve been looking for slow cooker recipes to try!